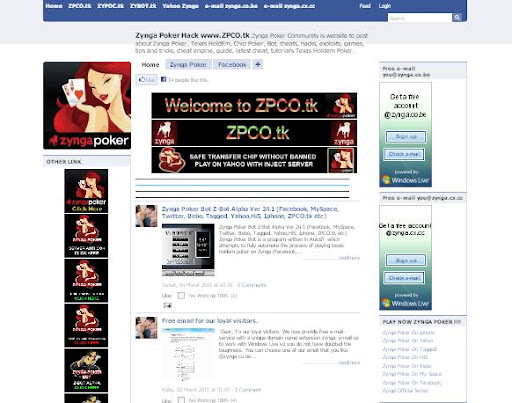 automate the process of playing texas holdem poker on Zynga (Facebook, MySpace, Twitter, Bebo, etc). all_in = <– Will go all in. call_any = <—- Will call even if someone raises. call_upto = <—- Will call up to blind * callamount. call_once = <—- Will call unless someone raises. raise = <– Adjusts the score in the preflop raise set to X amount. call_any = <- Adjusts the score in the preflop call_any to X amount. 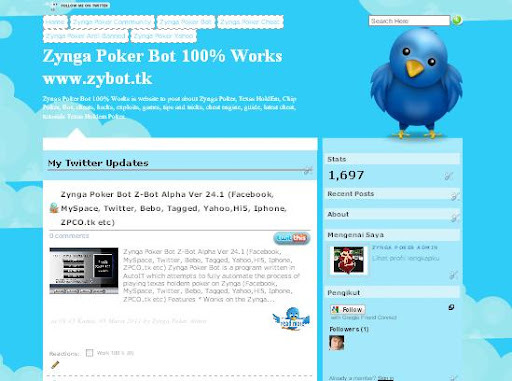 call_upto = <- Adjusts the score in the preflop call_upto to X amount. call_once = <- Adjusts the score in the preflop call_once to X amount. raise = <- Adjusts the score in the suited raise set to X amount. call_any = <- Adjusts the score in the suited call_any to X amount. call_upto = <- Adjusts the score in the suited call_upto to X amount. call_once = <- Adjusts the score in the suited call_once to X amount. preflopcallamount=2 <—– Will check to see what someone raises and call up to blind * callamount. data/chips .txt numbers are weird. data/raise .txt numbers are weird. 0.5-0.59 =call_upto <—- Will call up to blind * callamount. 0.6-0.79 =call <—– Will call all. 0.8-0.98 =raise <—– Will raise blind * raiseamount. 0.99-1.25 =all_in <—– Will go all in.